An ancient evil stalks the shadows of Rune, and the kingdom’s immortal guardians were banished centuries ago. Can the tattered remains of Rune’s heroes rise to confront the fell powers marshaling against them? 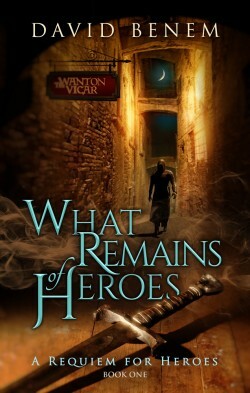 What Remains of Heroes begins an epic of dark, heroic fantasy, a gritty yet introspective tale of ruin, revenge, and redemption.